The M D Whitest Medical Institute is a not for profit organization located in Cordele-Crisp County of Southwest Georgia. Our focus is on healthcare, economic development and education, in this region of the State of Georgia. We work to support concerned citizens, local businesses, and potential corporate partners throughout the region. 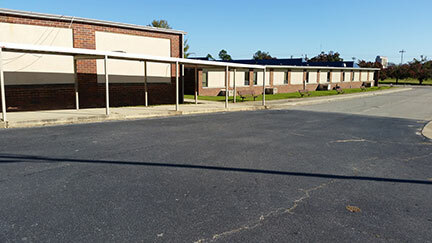 In late 2015 we purchased the historic A S Clark School and its associated 18 acres of land in Cordele. This facility now serves as the site for management of many of the exciting programs and initiatives that we are undertaking, inclusive of the development of a Biomedical and Pharmaceutical research and manufacturing Park. Wayne Pharmaceuticals Inc., is a partner in the development of this Park and we are seeking to develop this facility to bring new jobs as well as more diversity to the Biomedical and Pharmaceutical industry. We continue to have as part of our goals improving the lives of local citizens through local initiatives, such as the development of a Primary Care clinic that will provide accessible health care to local residents. Additionally, we provide fresh vegetables to the local citizens through our community garden during harvest time during the summer. The summer institute provides summer school for at risk children for four weeks during summer months.